#296. 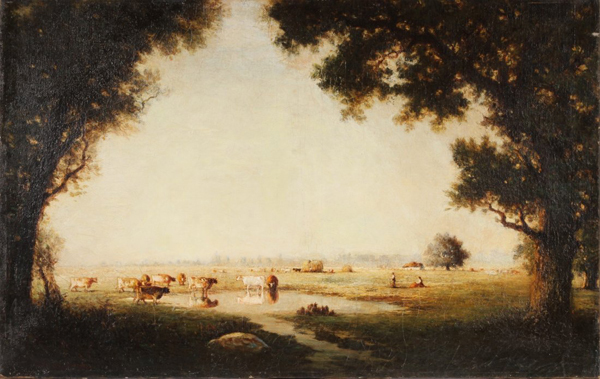 Barbizon Landsape with Cattle. 24.5 x 38, oil on canvas, unframed, lined. "Gilbert Munger" on the front. Sold at the Black Rock Galleries, Bridgeport CT, at the auction ending on 8 November 2015 as lot 0124 for $1200. 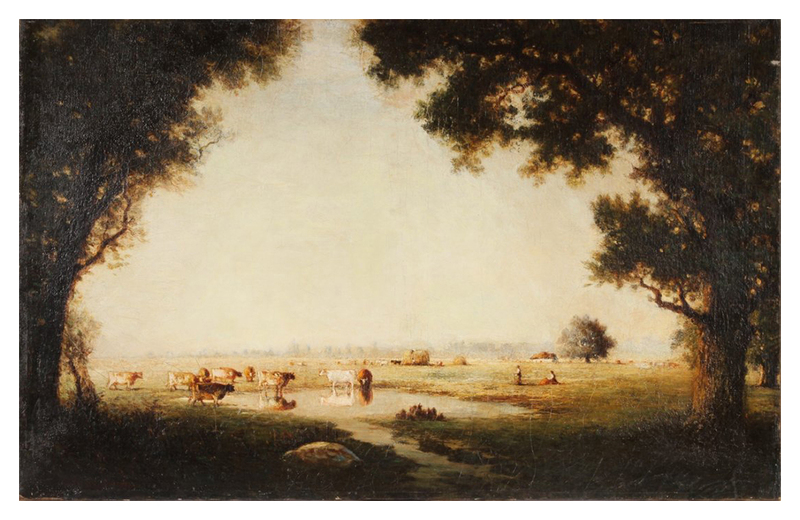 The scene is reminiscent of other Barbizon paintings by Munger. Image from auction web site.